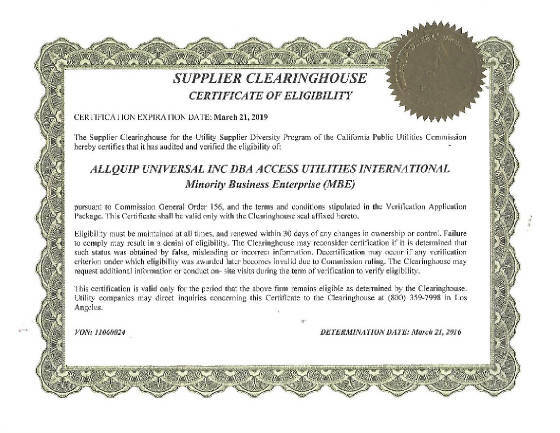 Allquip Universal Inc was registered in May, 2004. 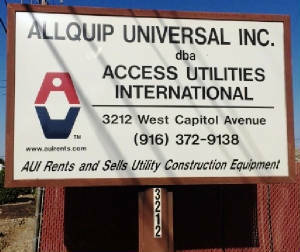 On June 6, 2005, Allquip Universal Inc filed a registration to commence business under the “dba” name of Access Utilities International. 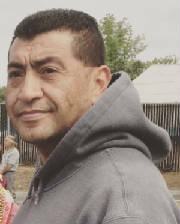 AUI conducts business from its head office and yards in West Sacramento, California as a private and closely held corporation. AUI's founder is Cynthia Chye. Cynthia Chye attended Pennsylvania State University, where she pursued studies in Accounting and Management. 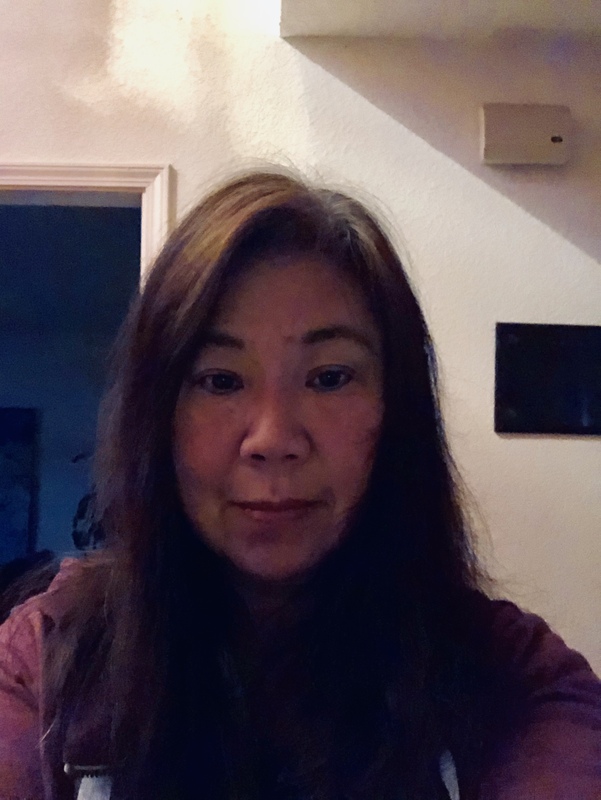 Since 1999 she worked as an administrator and manager for several rental companies in West Sacramento, California. She then accepted the entrepreneurial challenge; and in 2004 she financed, organized, and opened her own rental company. She has managed and grown the business and has been the corporation's only President. 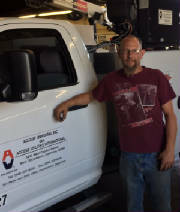 The business has grown many folds since its inception with a customer base that now includes local and national private utility contractors, public utilities, municipalities, county agencies, and universities, among others. AUI was born of the entrepreneurship of its founder, the dedication of its early employees, and the support of its loyal suppliers and customers. 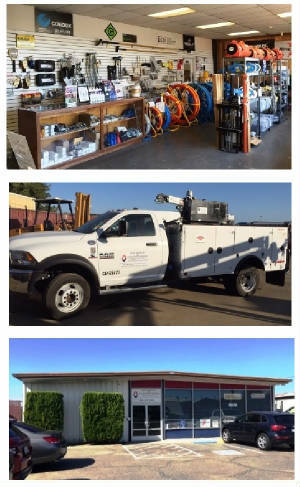 AUI has grown from a start-up company in 2004 and today proudly continues to serve its private and governmental customers with rentals and sales of specialized utility construction equipment in a West Coast trade area from the San Francisco bay area to Reno & Carson City, Nevada and from southern Oregon to southern California. 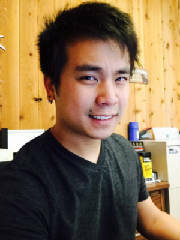 International and website sales are managed from the West Sacramento offices. AUI's Website and Mission Statement convey the commitment and goals of the corporation for its customers, employees, suppliers, and shareholders. 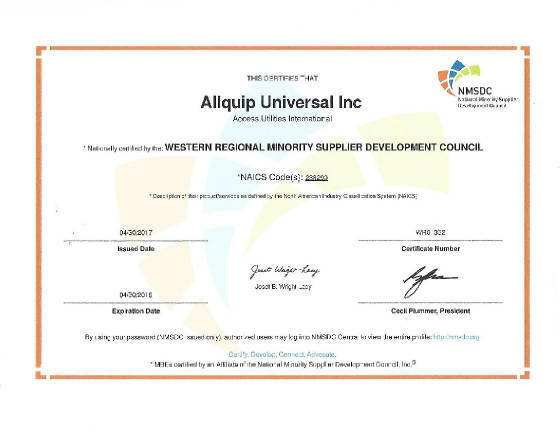 AUI is a Certified Minority & Woman Owned Business Enterprise. AUI's commitment is to serve the specialized needs of the aerial underground; telecommunications, electric power, water and sewer, and pipeline industries. Our goal is to meet or exceed our customer's requirements and expectations by supplying the highest quality, new, reconditioned, and used construction, cable placing, and utility construction equipment. We will strive to deliver on time at a competitive price and will provide technical training and parts support worldwide. We will provide competitive financing, leasing, and rental facilities to qualified customer.